PayPal and Stripe – these services are used to serve our e-commerce platform. At no time is your banking information passed to the Website. We receive only information used for order fulfillment. Kartra – this service is used for delivery of email updates and newsletters. We store your name and email address for purposes of delivering such communications. Webinarjam – this service is used to host online workshops. We store your name and email address for purposes of delivering workshop details and communications. The Balanced Berry is a participant in the Amazon Services LLC Associates Program, an affiliate advertising program designed to provide a means for sites to earn advertising fees by advertising and links to Amazon.com. As part of this Amazon Associates program, the Website will post customized links, provided by Amazon, to track the referrals to their website. This program utilizes cookies to track visits for the purposes of assigning commission on these sales. Opt-out – You may opt-out of future email communications by following the unsubscribe links in our emails. You may also notify us at hello@thebalancedberry.com to be removed from our mailing list. Access – You may access the personal information we have about you by submitting a request to hello@thebalancedberry.com. Amend – You may contact us at hello@thebalancedberry.com to amend or update your personal information. Forget – In certain situations, you may request that we erase or forget your personal data. To do so, please submit a request to hello@thebalancedberry.com. The Website does not knowingly collect any personally identifiable information from children under the age of 16. If a parent or guardian believes that the Website has personally identifiable information of a child under the age of 16 in its database, please contact us immediately at hello@thebalancedberry.com and we will use our best efforts to promptly remove such information from our records. 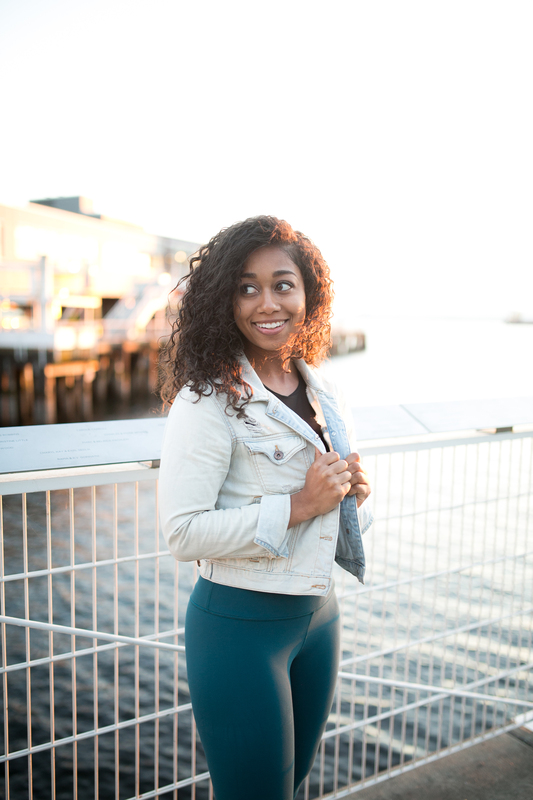 From time to time, Balanced Black Girl (“Website”) may discuss topics related to health and fitness, and may include information on exercise and workouts. Everything provided on the Website is for informational purposes only. Health and fitness content provided by The Balanced Berry, LLC is for informational purposes only. Consult a physician or medical professional before beginning any fitness program. Any form of exercise poses inherent risk of injury and by voluntarily engaging in any exercise or workout presented by The Balanced Berry, LLC, you assume the risk of any potential injury that may result. The information provided by The Balanced Berry, LLC is provided “as is” without any representations or warranties, express or implied. The Balanced Berry, LLC makes no representations or warranties in relation to the health and fitness topics discussed. The Balanced Berry, LLC disclaims liability for incidental or consequential damages and assumes no responsibility or liability for any loss or damage suffered by any person as a result of use of the information provided. The Balanced Berry, LLC assumes or undertakes no liability for any loss or damage suffered as a result of the use of any information provided.